The best time to visit Kruger National Park is between October to March when you can catch a glimpse of 200 migrant bird species that have flown towards the South from different regions in Africa and Eurasia. 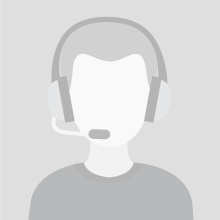 Lappet faced Vulture, Martial Eagle, Kori Bustard, Southern Ground Hornbill, Pel’s Fishing Owl and the Saddle-billed Stork are among the top six attractive bird species that may be found here. You can come across plenty of large raptors in this spot such as the Wahlberg’s Eagle when can be seen along with river. There are other spots along the Sabie river to explore some of the woodland accipiters like Little Sparrowhawk. This is one of the few places in South Africa where you can find the White Crowned Lapwing along with the Black Cuckoo shrike, Half Collared Kingfisher, red faced CistiCola along with the African Finfoot. There is a rich diversity of habitats that may be found here with riverine forest, Lebombo bush, mopaneveld providing a varied birding experience. Goliath Heron is one of the most unique bird species that may be spotted in this place along with African Hawk Eagle. Storks, lapwings, stilts, egrets and waders. 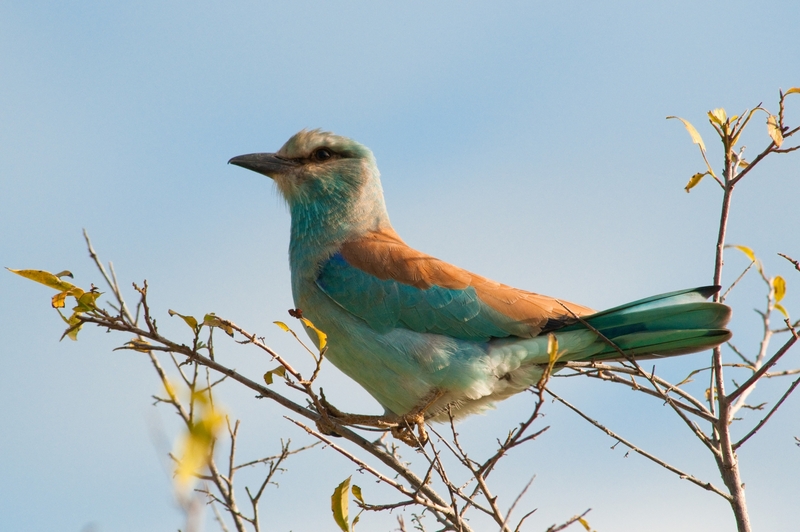 In the summertime, you may be able to view Jacobin Cuckoo, Woodland Kingfisher. Blue Waxbills, South Carmine Bee eaters and swallows are some of the bird species which can be seen most of the times. Along this route, you might be able to find Luvuvhu River Bridge, Pafuri Picnic Site along with the Crook’s Corner. Verreauxs’ Eagle and Crested Guineafowl are some of the main bird attractions which may be found along the Nyala Drive among the riverine forests. If you are visiting this place during the noon, you may be lucky to spot out Pel’s Fishing Owl, Bohm’s Mottled Spinetails and the African Fish-Eagles. 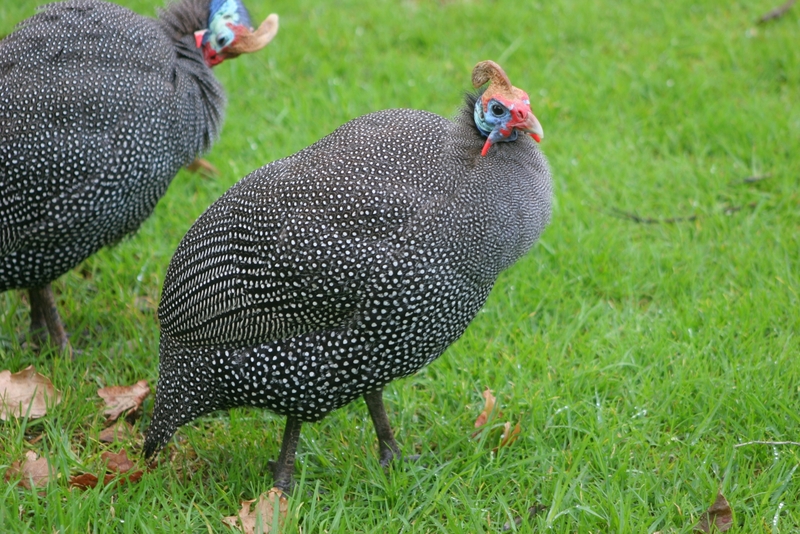 Guineafowl are birds of the family Numididae in the order Galliformes. In the Pafuri Picnis Site, bird enthusiasts can watch the Tropical Boubou, Narina Trogon. Grey-headed Parrot and the Crook’s Cornet is the best place to find the Lemon-breasted Canary. This is one of the top birding sights in South Africa, where more than 450 species of birds have been recorded to be seen and it is located in the iSimingaliso Wetland Park which is known to part of the Heritage site as well. Bird enthusiasts can view numerous V-shaped Pink Backed Pelicans along with the Yellow billed storks. Watch the spectacular sight of the waterbirds nesting on the upper branches of the fever tree. Along with the Pelicans and Storks, the White Breasted Cormorant and the Grey Herons are some of the lovely bird attractions. Long Tailed Paradise Whydah, White Winged Widowbird, Red Billed Quelias and Pin Tailed Whydahs are some of the colorful and attractive bird species that you can view in this reserve. 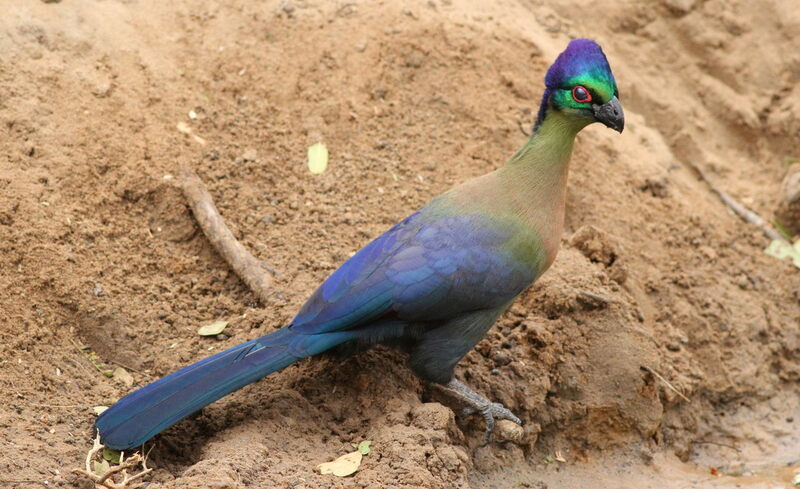 Red Faced Mousebirds, Cape Glossy Starlings, Crested Barbets, Blue Waxbills, Dark Capped bulbuls along with Crested Francolin offer a spectacular sight to the bird enthusiasts. Kirstenbosch Botanical Gardens is one of the tourist destinations in Cape Town which offers a glimpse of a variety of bird species which is a delight to bird lovers and provides many photographing opportunities. You can find some of the exotic bird species including the Cape Bulbul, Orange Breasted Sunbird, Cape Sugarbird and Cape Canary in this place. The ground birds such as the Egyptian Goose and the Helmeted Guineafowl are more of a fearless variety found in these gardens. 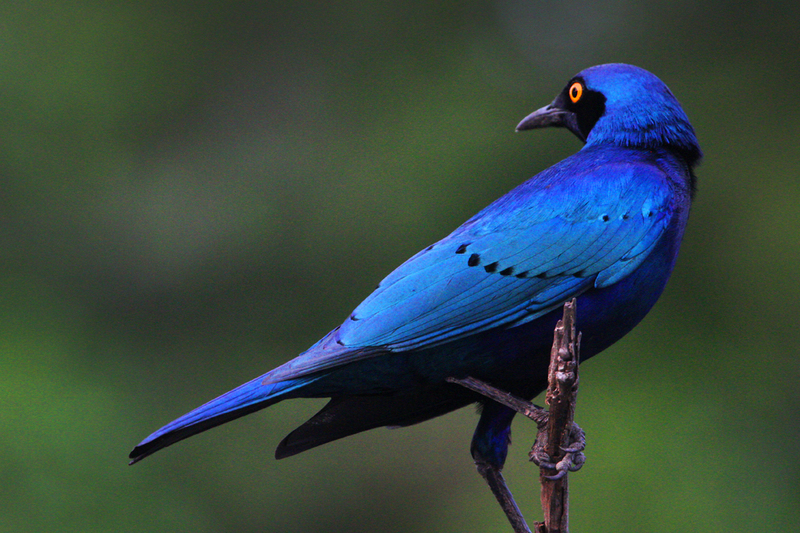 Forest Canary, spotted Eagle owls are also some of the bird attractions that you may be able to find in this region. Birding activities can be enjoyed in some of the most spectacular Nylsvley Nature Reserve which has the largest Cape Vulture breeding colony in this country. This is the only place in the Limpopo province, where one can catch a glimpse of the Yellow throated Sandgrouse. Blue Crane, Stanley’s Bustards, Barrow’s Korhaan. This 4,000-hectare natural reserve has around 370 types of bird species, which include some of the rare ones such as the Eurasian Bittern and the Little Dwarf. You can find around 15 species of duck and geese in this reserve, Lesser Moorhen, Allen’s Gallinule along with 7 species of Rail and Crake. 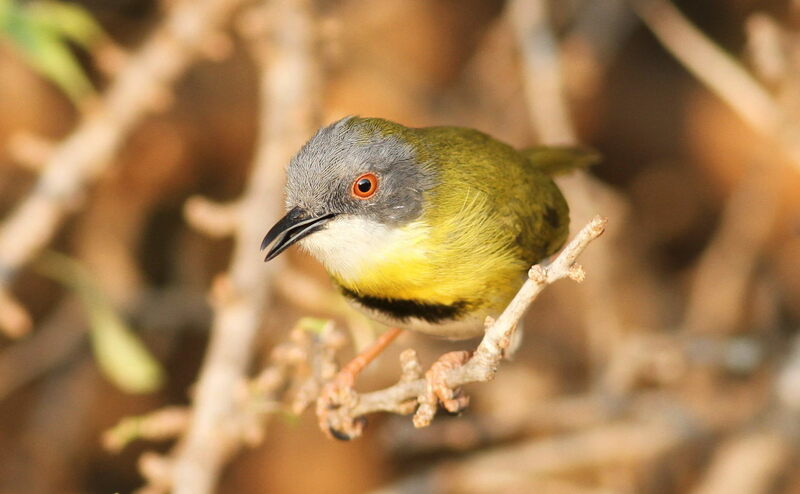 The surrounding areas of this region attracts a diverse range of bird species that inhabit the along the eastern savannah and western Kalahari region. The bushveld around this reserve also offers some great birding experience with about 8 species of owls seen here along with the fascinating Orange breasted Bush Shrike and Crimson ones that attract the attention of birdwatches alike.